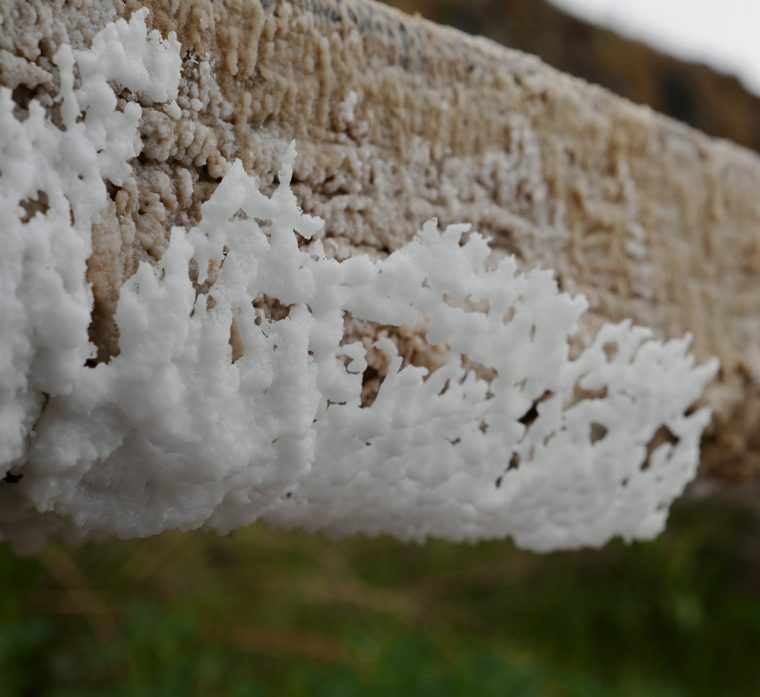 Perhaps the single most important ‘ingredient’ for our forefathers, salt was not simply a seasoning but the most effective way known to preserve food through the barren winter months. 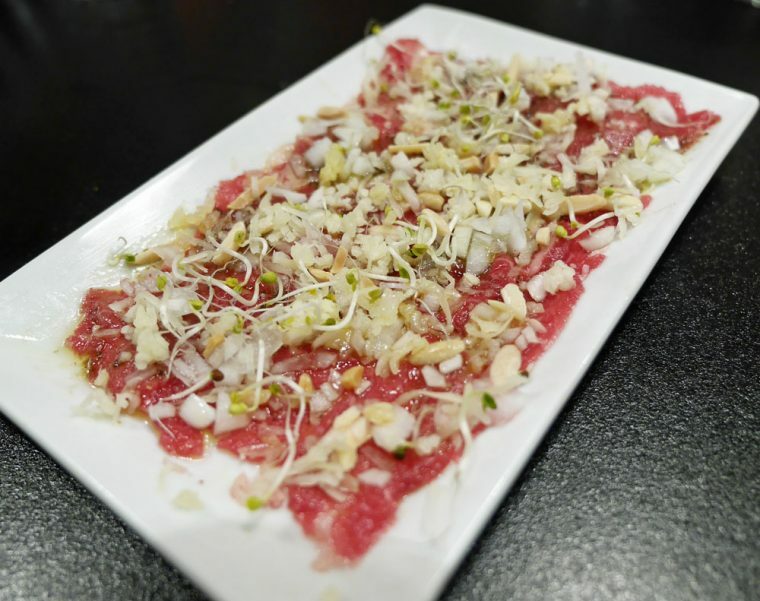 Today, with modern refrigeration the idea of salting our meat and fish is more a culinary device than a means to survival but before the invention of refrigeration, there were few other options. Salt was so important that it was used to pay Roman soldiers – and the derivation of the word salary comes from that time. 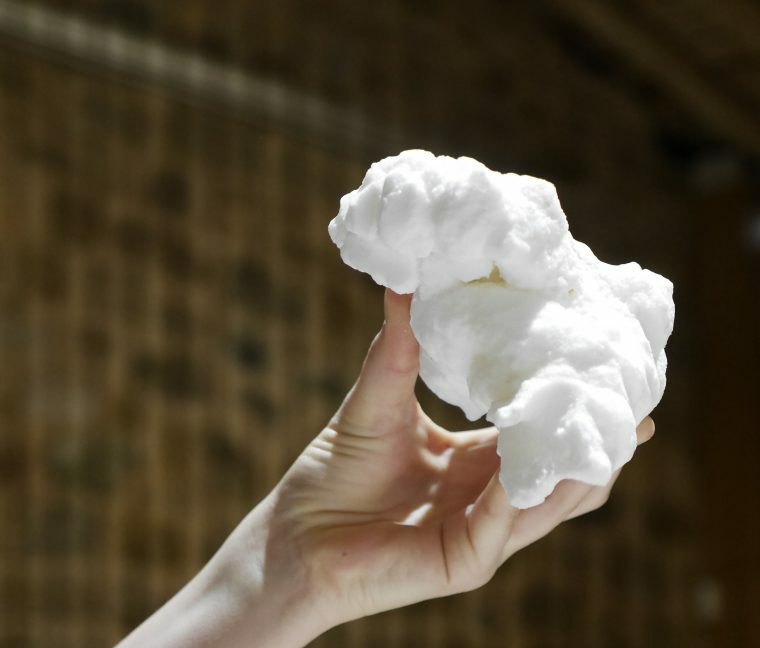 I’ve visited a number of coastal salt mines and, since the Basque Country has a well-known coastline I had anticipated another when I’d seen the itinerary mention ‘Valle Salado’. But, the Valle Salado near Salinas de Anana in the Basque is actually something different. The salt is still produced in salt pans, just like those I’ve seen in Pag and Nin, but rather than being fed by the sea, at Valle Salado, there are five saline springs which have helped produce salt here for over 1200 years. 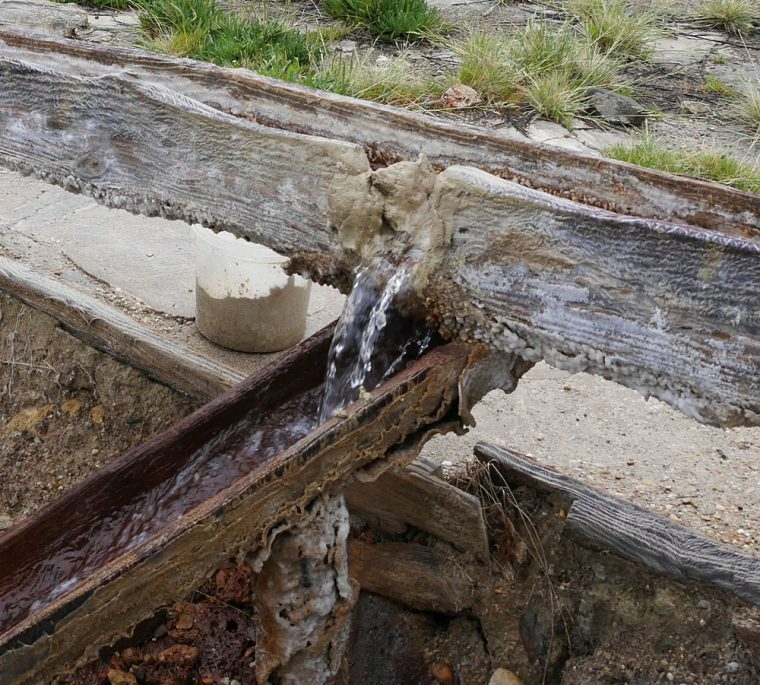 The springs are thought to be fed from an ancient underground sea. 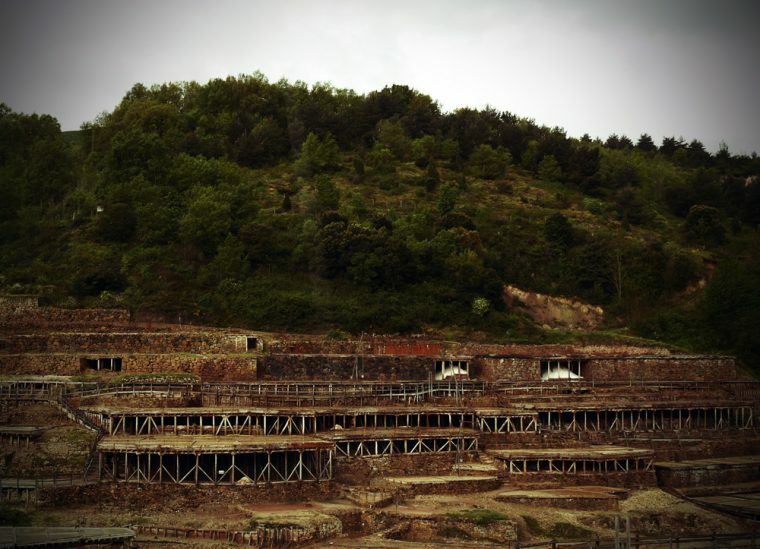 It’s a unique place – there are terraces of salt pans built over the hillside connected by traditional wooden channels. The pans can be opened and closed using a unique gateway system of natural clay. Of course, this kind of salt production, unlike salt mining, results in the prized fleur de sel, much loved by chefs across the world. Such is the quality of the salt that many of the local chefs now have lent their names to Sal de Anana, in a kind of saline equivalent of the Hollywood Walk of Fame – a series of salt pans each bearing the inscription of a different local chef. We left with various packages and salt grinders. There is a whole range of different products on sale, I was particularly impressed by the garlic and chilli salt grinders – both genuinely seem to work as an effective way of seasoning. And I managed to replenish my stocks of fleur de sel. I was tempted by the chuzo de sal, a large crystal formation that you ‘grate’ onto your food. But, luggage restrictions meant that I ended up passing by. 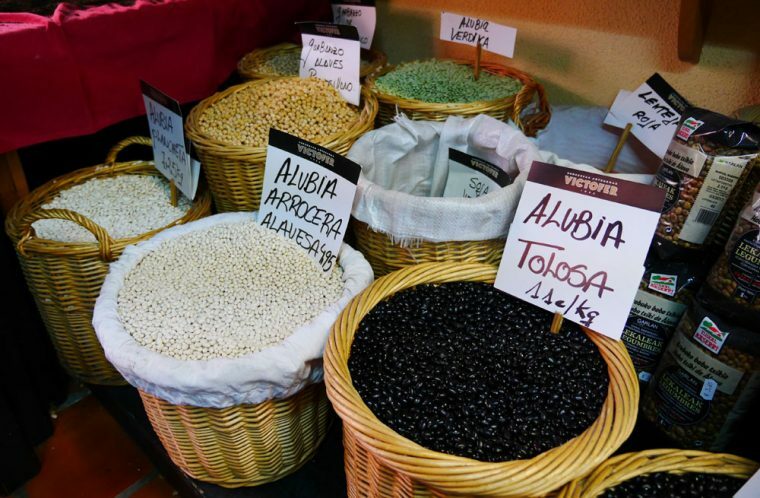 The dwellers of Vitoria-Gasteiz are called vitorianos or gasteiztarrak, while traditionally they are dubbed babazorros (Basque for ‘bean sacks’). 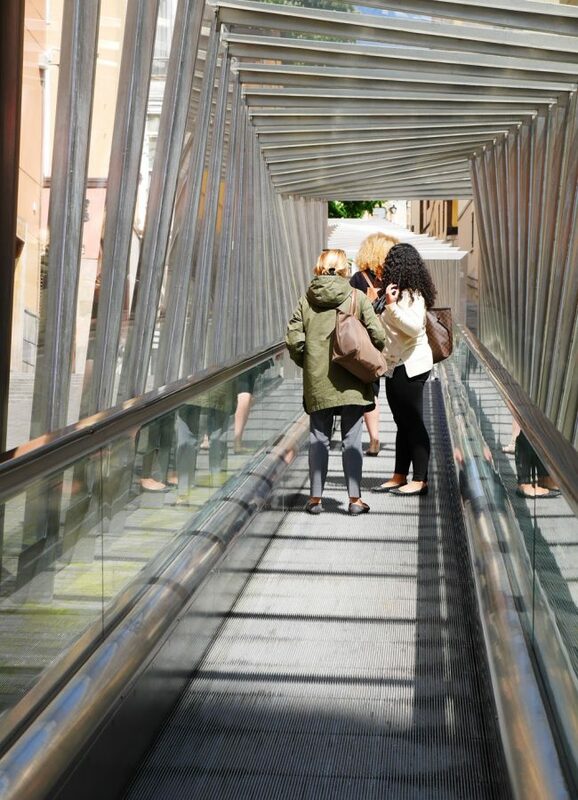 We started with a visit to Sagartoki, described as ‘a place to discover new culinary sensations in Vitoria-Gasteiz’. While we waited, prompted by the very knowledgeable Wine Sleuth, I enjoyed a vermouth at the bar. Technically, it’s a wine that is aromatized (infused with botanicals) and fortified (spiked with unaged brandy). Whatever, the potion that was produced, served in a martini glass with a twist of orange, was utterly delicious. 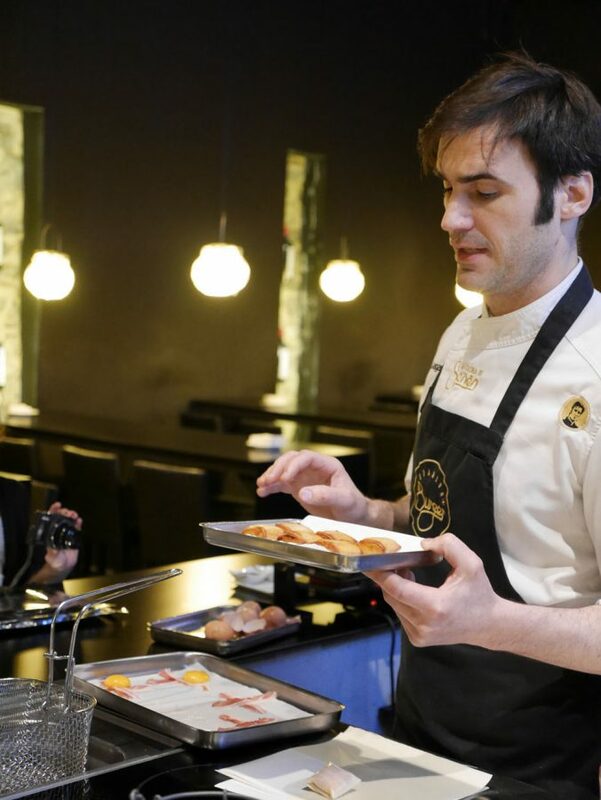 Then, into the main restaurant to learn more about some of the specialities at Sagartoki from Senén González, Chef and Entrepreneur. We started by learning about his unique vegetable papers. 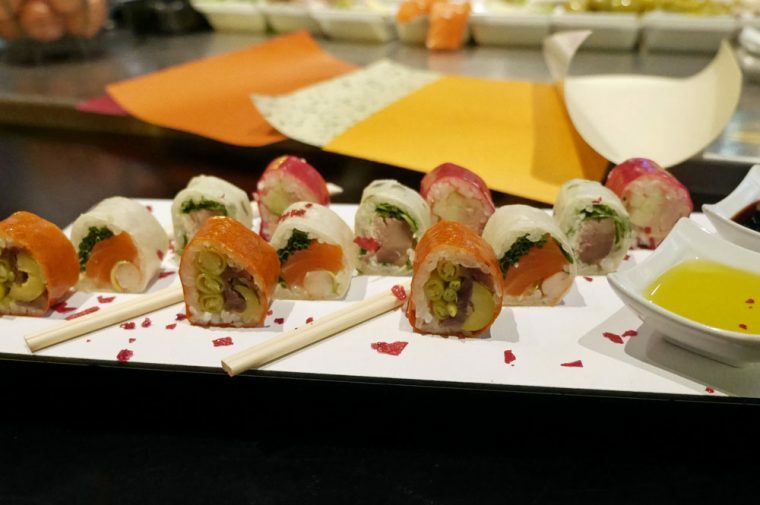 Made by dehydrating vegetables with a little glycerin and pectin, they make wrappers which Senén and his team use to create a kind of fusion sushi, wrapping traditional pintxos in sticky rice and then a wrapper. 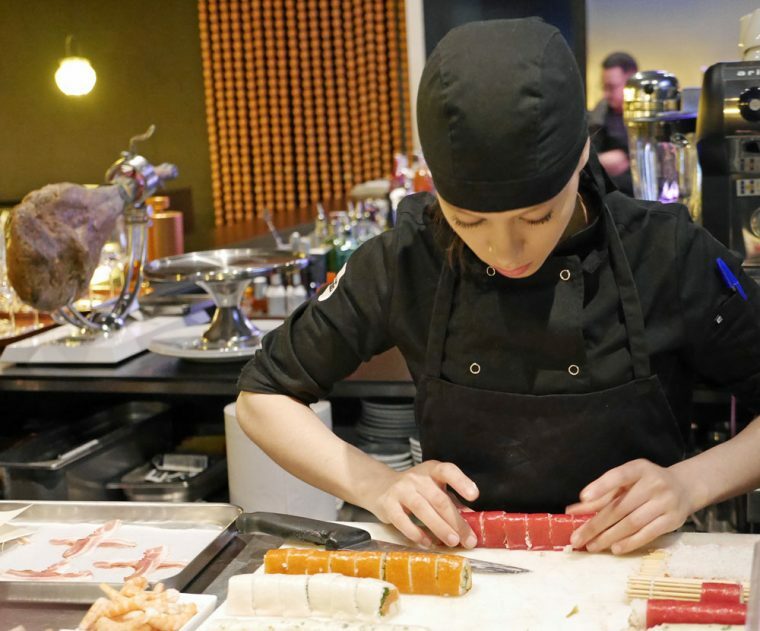 They are really very good – imagine pintxos served Japanese style. Each wrapper has a distinctive vegetable flavour – potato, pepper, beetroot, spinach stracciatella and carrot to which you can match a filling. If you happen to live in Spain, you can buy them online, both the soft type which can be used for sushi or to make a ‘pasta’ and a crispy kind which are a little like vegetable chips. 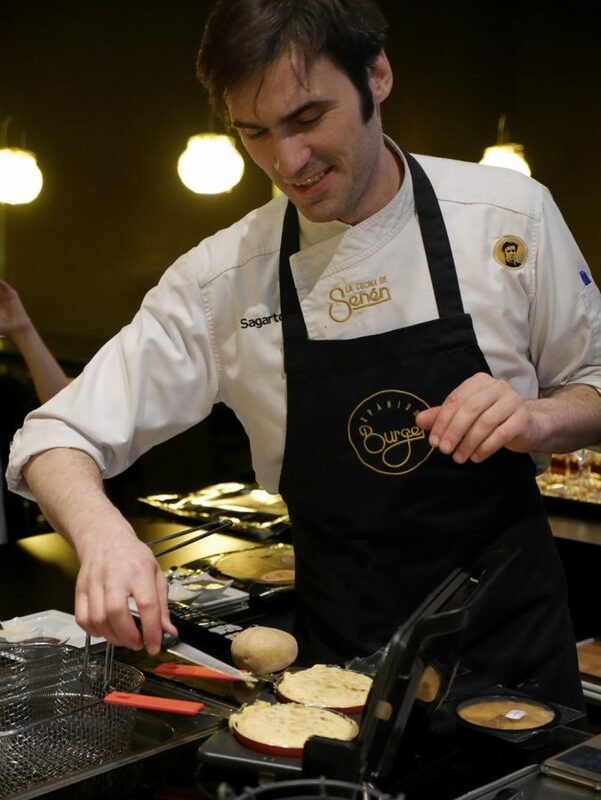 Senén’s other invention is a small electric tortilla pan which looks to me like a Spanish George Forman grill. 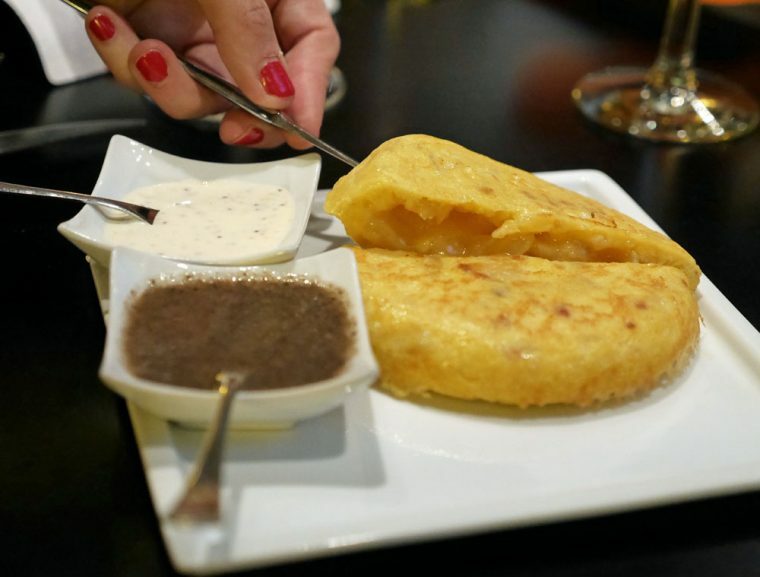 We tried his signature Tortilla with Truffle sauce which, even for a non-egg lover like me was delicious. My favourite of the pintxos though was a delicate deep fried egg yolk, wrapped in ham and then in one of the vegetable wrappers. 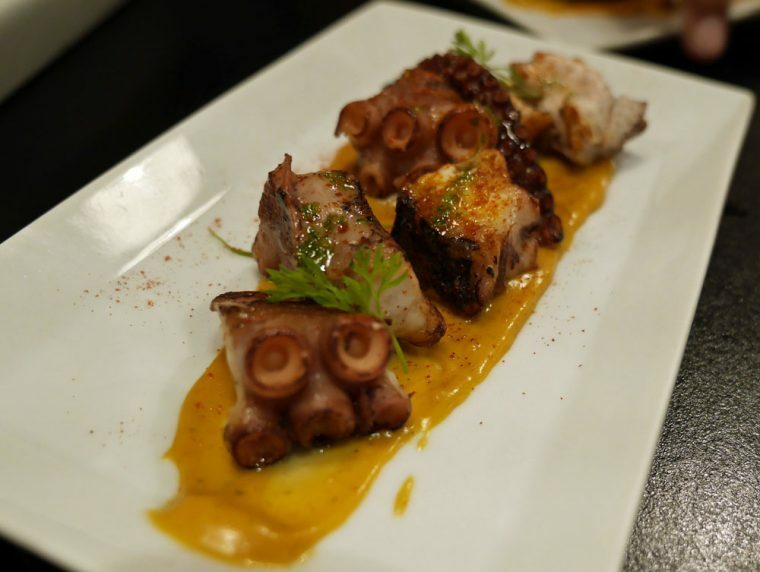 I’d have liked to spend more time at Sagartoki, to have returned on a different day to try a meal there simply because we focussed on those dishes which used Senén’s entrepreneurial skills. 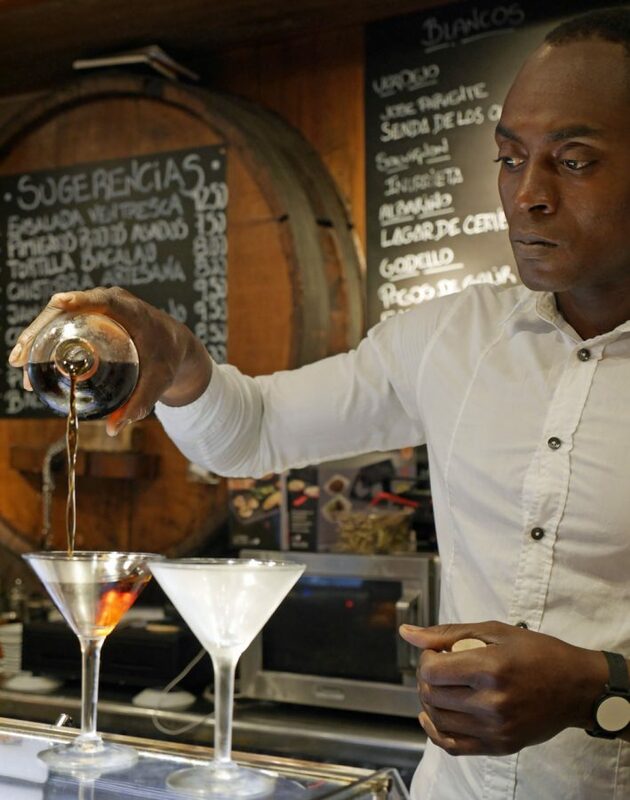 This is an award winning restaurant and bar and Senén has won everything from the Spanish Tortilla Championships in 2011 through to various awards for Pintxos and for the bar itself. But, there’s only so much a girl can eat. Even if sometimes I try very hard to prove that not to be the case. Instead, we went on a tour around the historical town centre and a visit to the Cathedral. We should probably have avoided the moving walkways, installed to help people climb the steep hills. We had eaten a lot of pintxos and tortilla by this stage and it might just have done us good to burn off the calories. But, it was fun to be carried along, with absolutely no effort. 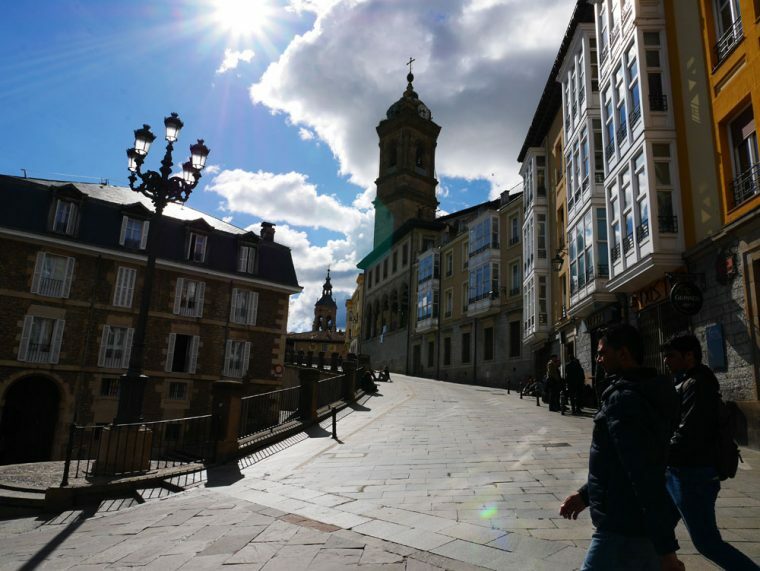 Vitoria is a charming place, without the tourist trade of Bilbao and San Sebastian, in many ways you get a better feel for the Basque way of life. 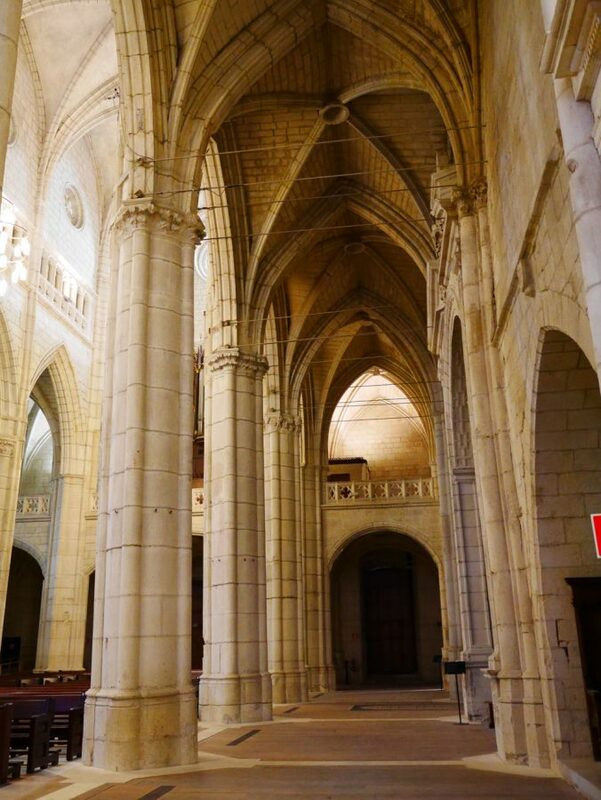 The Cathedral of Santa Maria was built in the late 13th to 14th century, as a church-fortress. 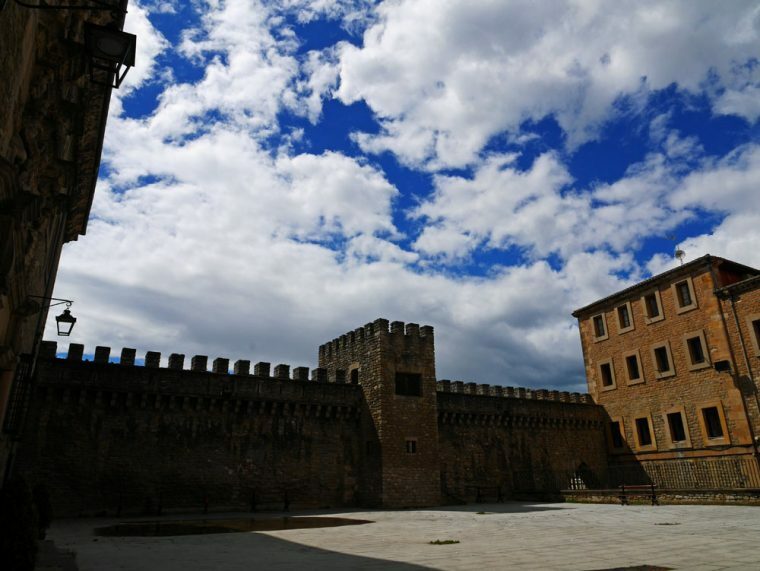 At the highest point of the city, it is literally built into the crenellated walls. Inside, there’s a major restoration programme, visits are by appointment only and involve wearing a hard hat. Apparently, the structure itself has suffered from centuries of ‘improvements’ and is now supported by steel braces running from the walls to central pillars. 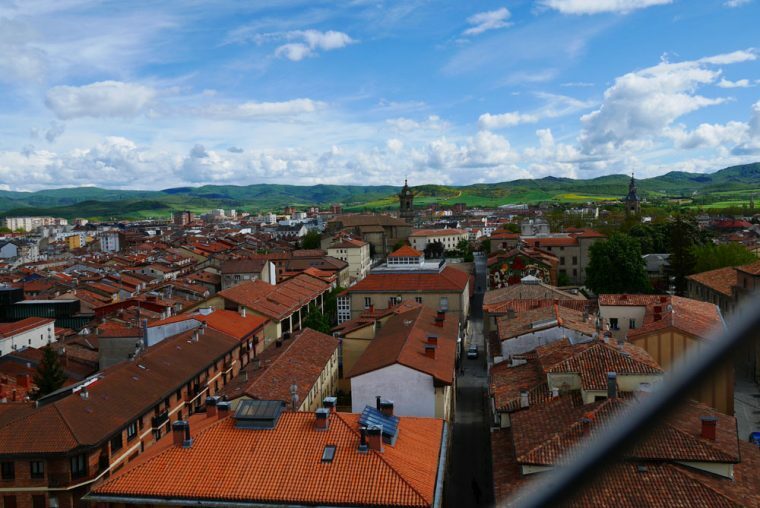 The tour will take you up to the Bell Tower for a fantastic panoramic view of the city. That alone makes it worth booking. By day, this is a quieter, more sedate city. 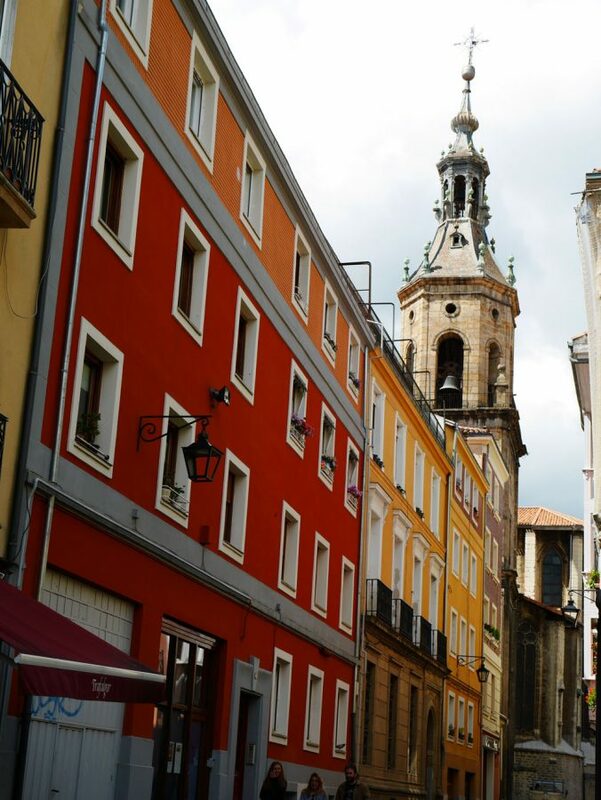 There’s plenty of historic interest and Vitoria is well known for gastronomy and wine. 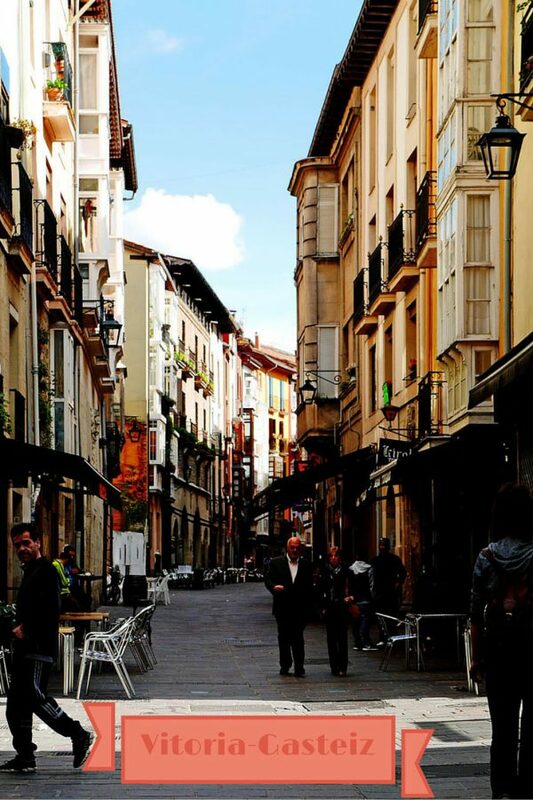 It’s worth taking the time to wander through the rambling streets. Our evening was curtailed but not in the least bit spoilt by the rain. We’d intended to come back to the old part of town later in the day for a Pintxos Pote (a tour of the Pintxos bars), but the weather took a turn for the worst and instead we ended up taking refuge in the first bar we found and staying there for the evening. We ended up a few hundred yards from our hotel at PerretxiCo. 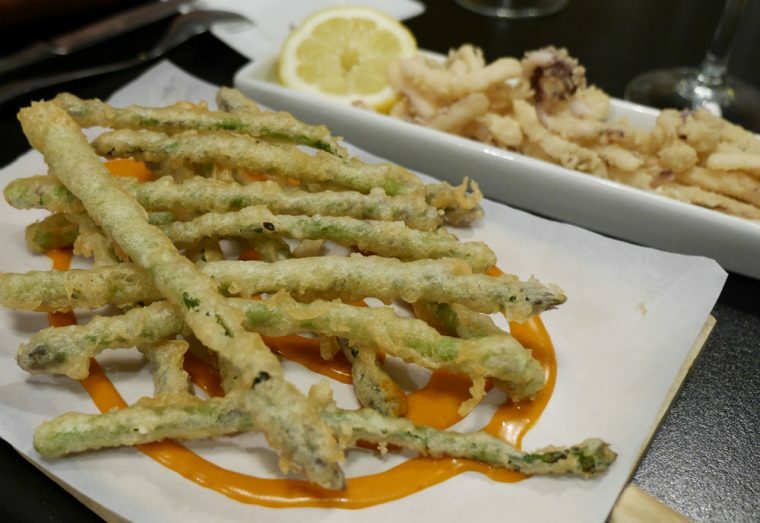 There were tempura dishes, like this asparagus with a romanesco sauce. 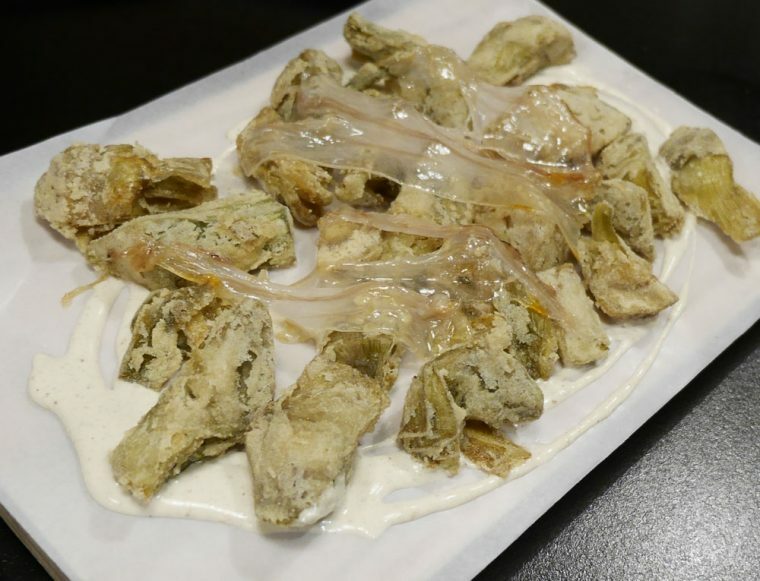 And some delicate artichoke hearts, battered, deep fried, and topped with a little lardo. 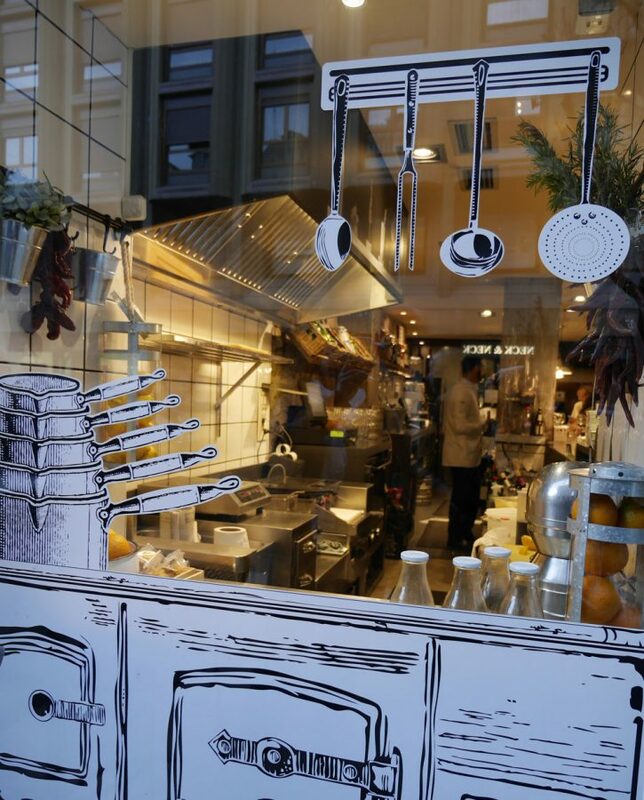 For 27.50 euros you can enjoy 7 pintxos and a dessert, with water and wine included in the price. Not a bad way to feast! 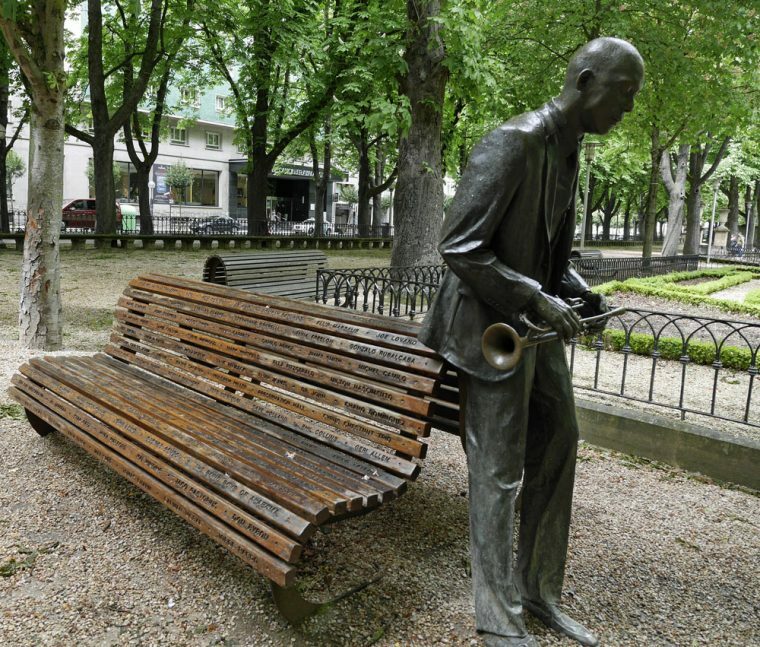 When I return to the Basque I’ll definitely put Vitoria-Gasteiz on my itinerary. Apart from a wealth of history and culture, it’s right on the edge of the main wine-growing part of the Basque. And that’s where we were heading next! With many thanks to Basque Country Tourism Board our hosts for this trip. 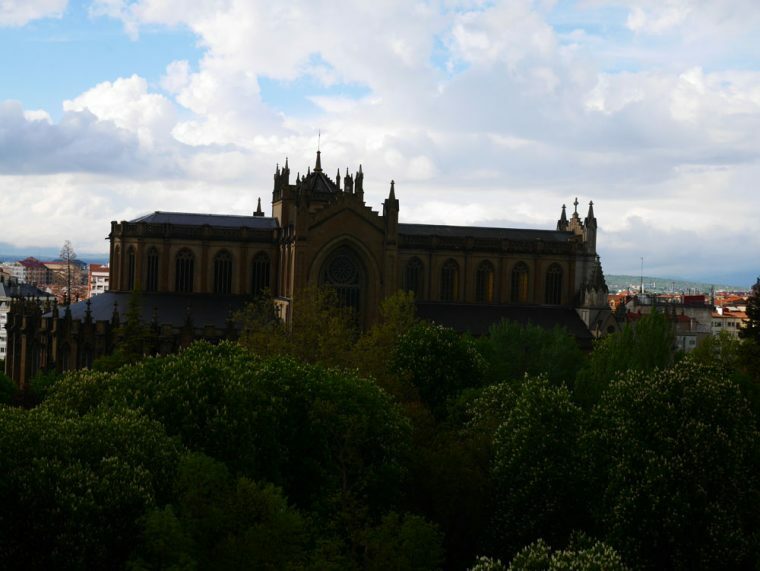 Thinking of visiting the Basque Country? Pin this for later! An amazing trip! I would love to visit that area.. The sky and the buildings and the hills were so beautiful… not to mention the food and all the cool things you got to try!